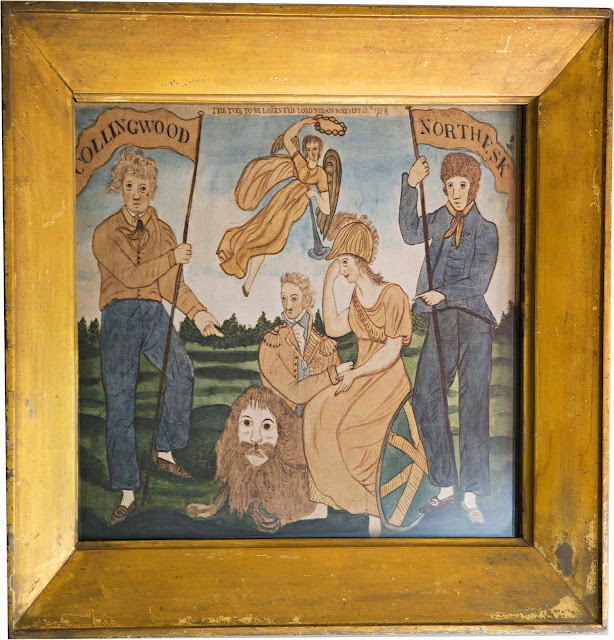 See parts 1-6 also for earlier works. 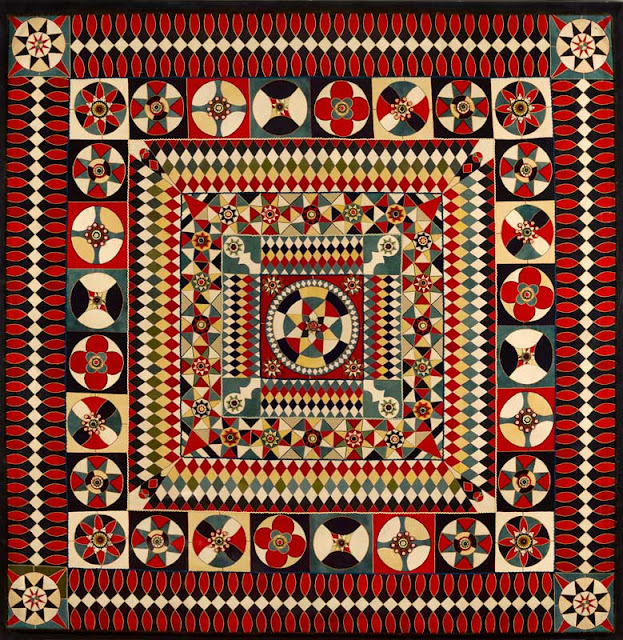 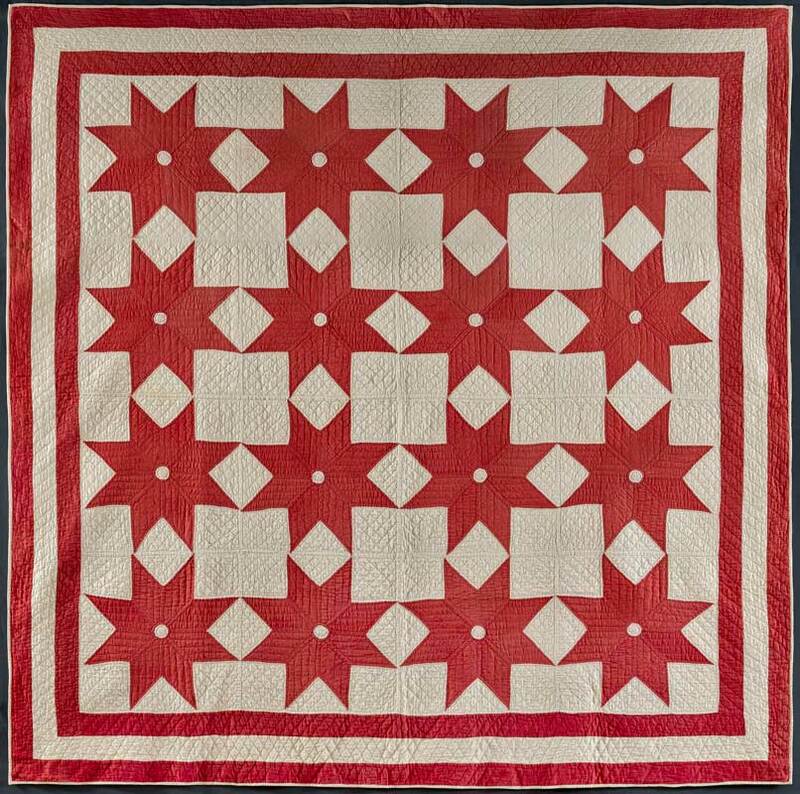 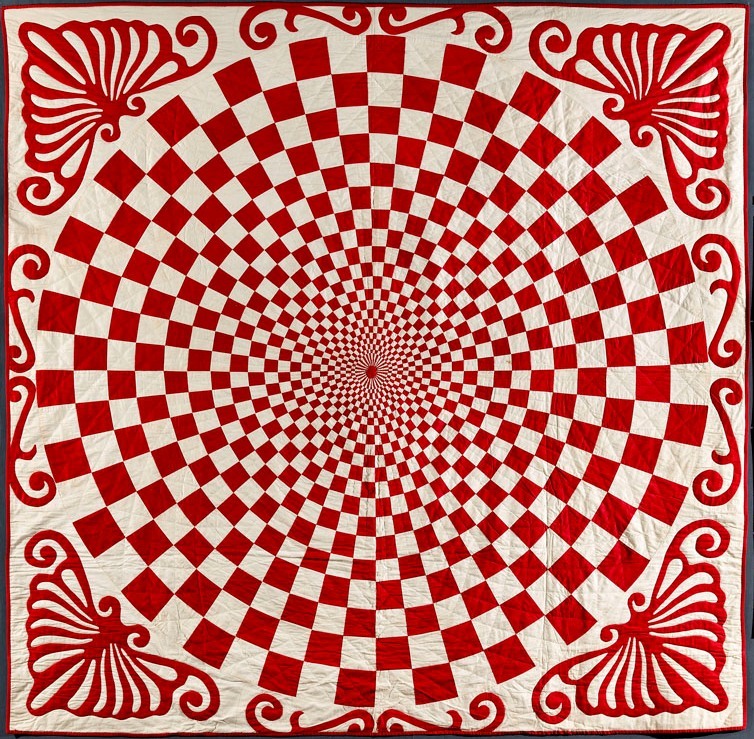 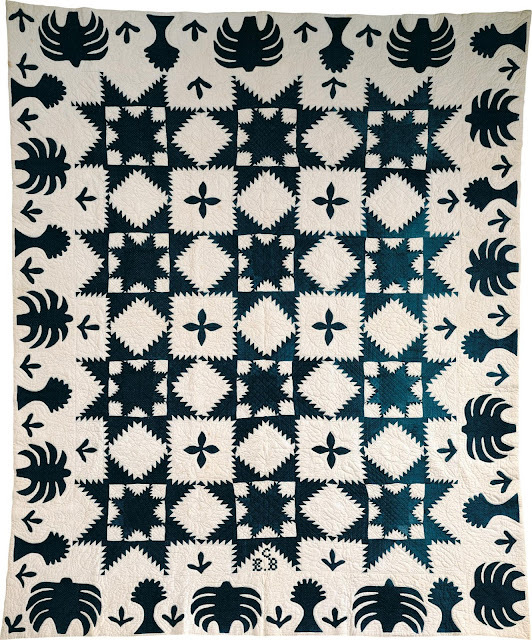 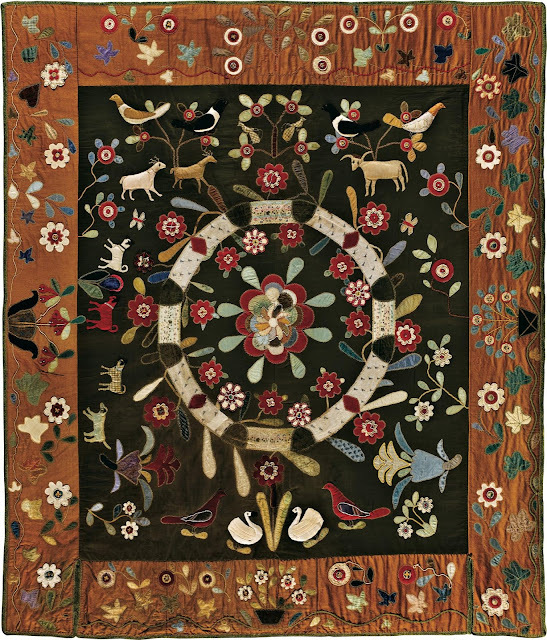 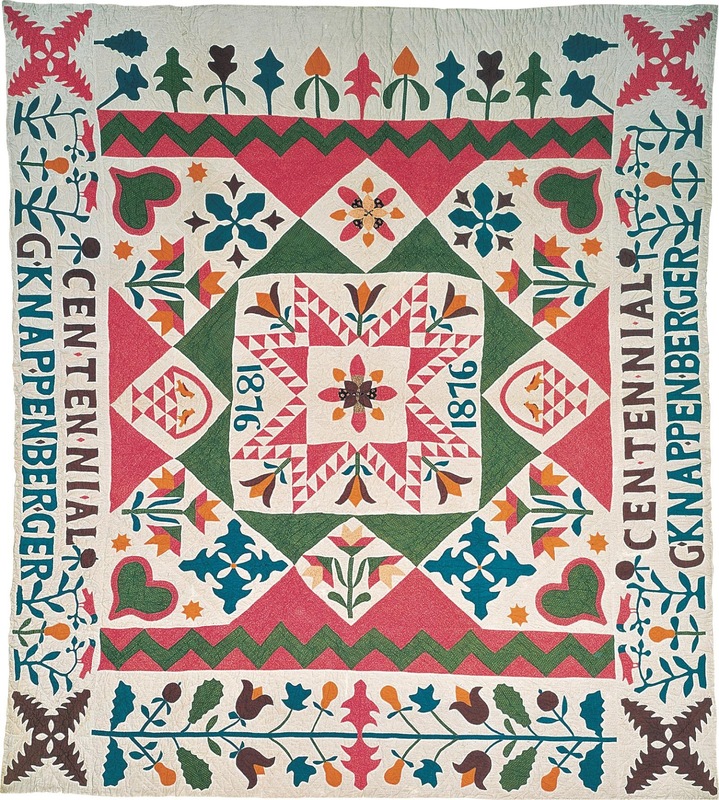 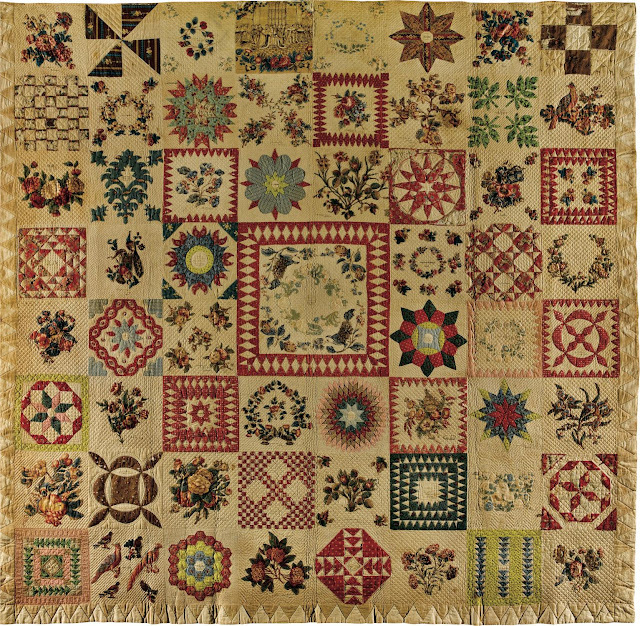 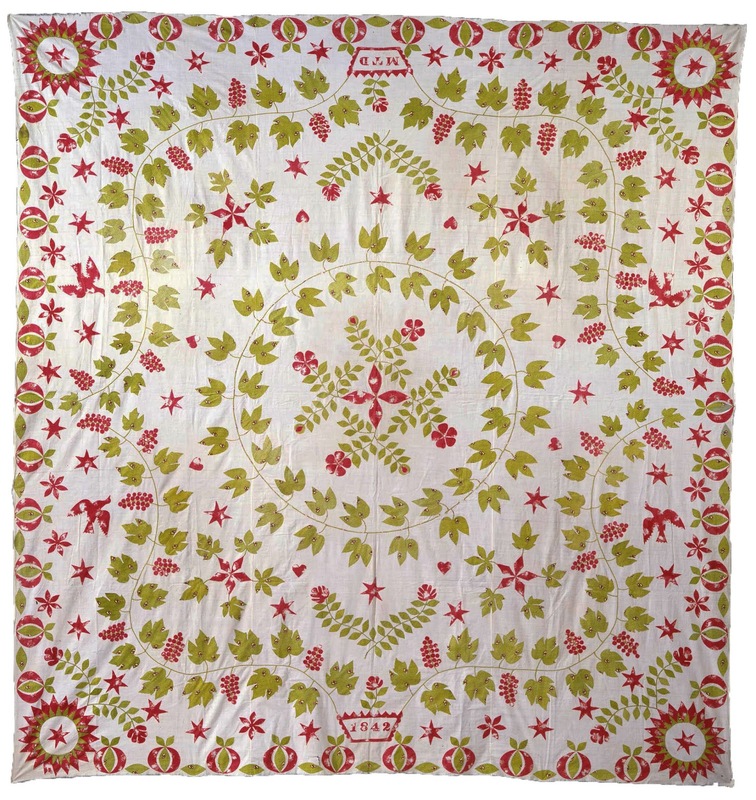 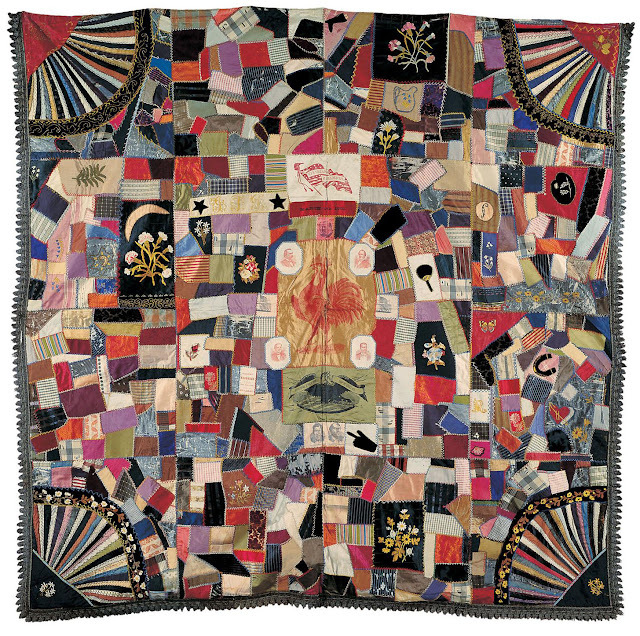 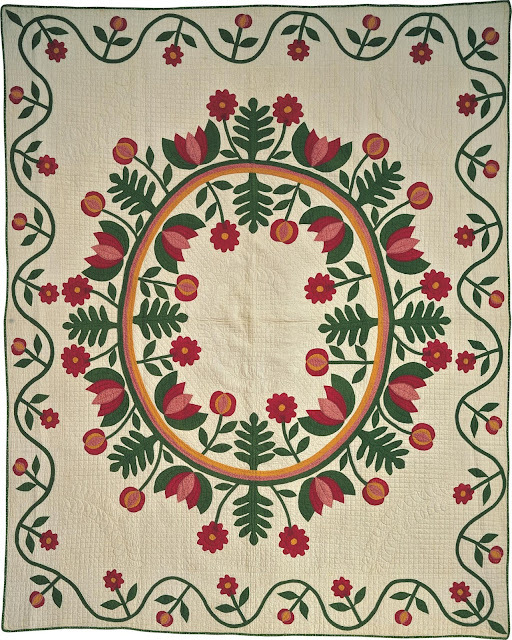 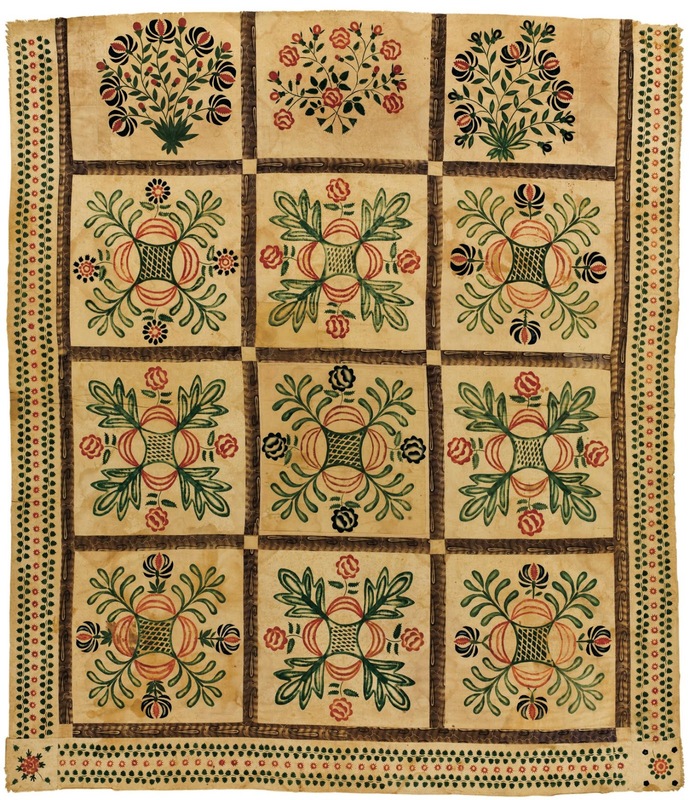 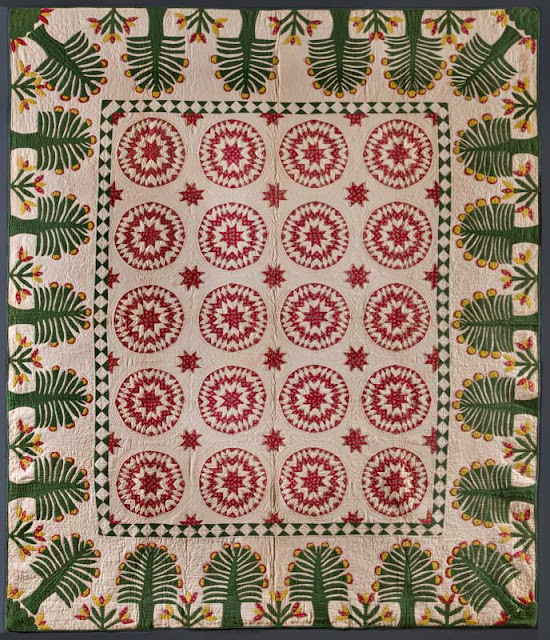 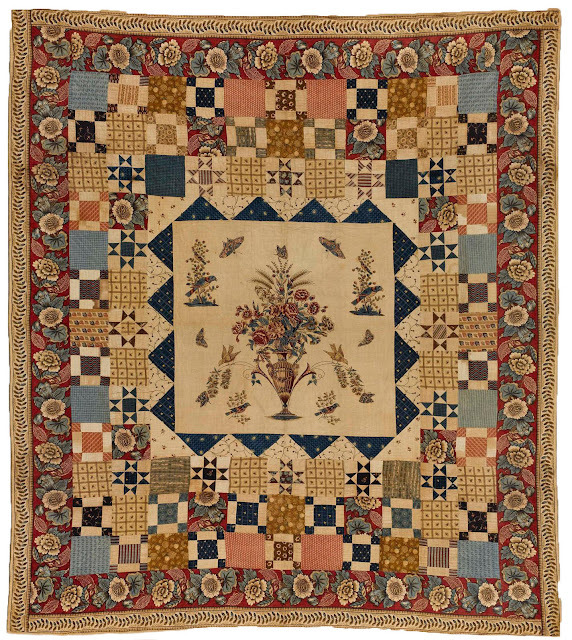 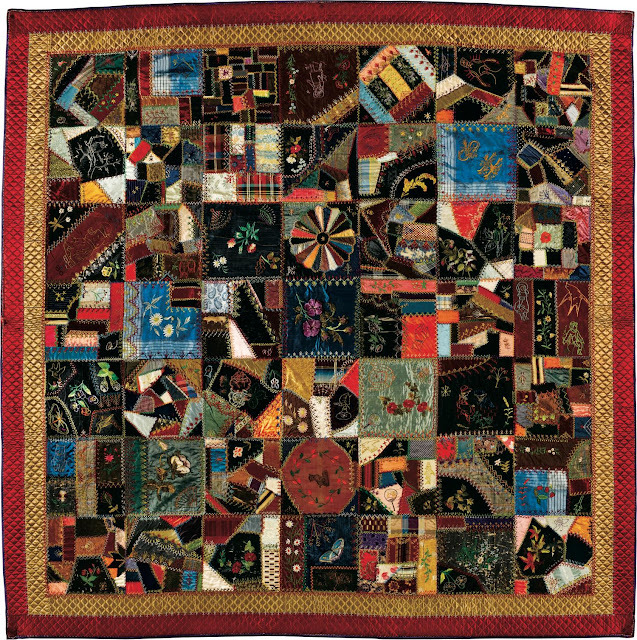 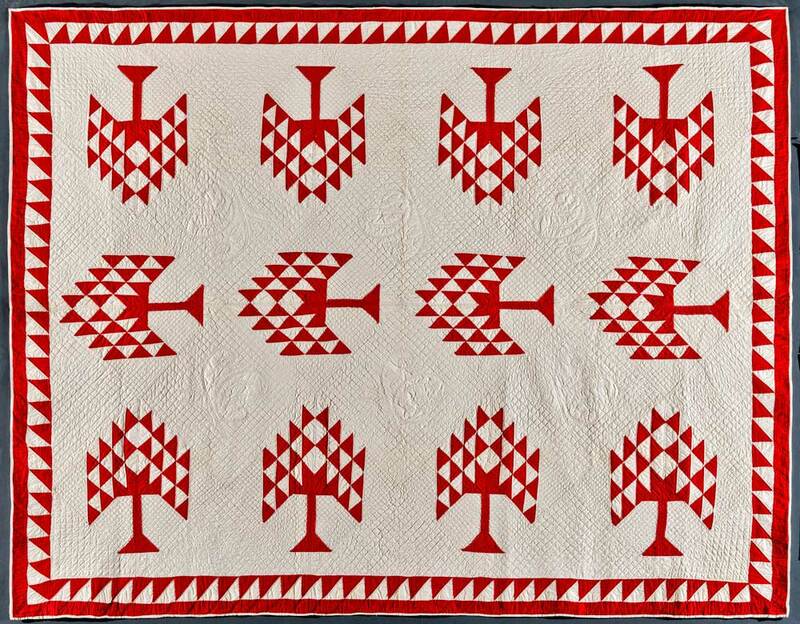 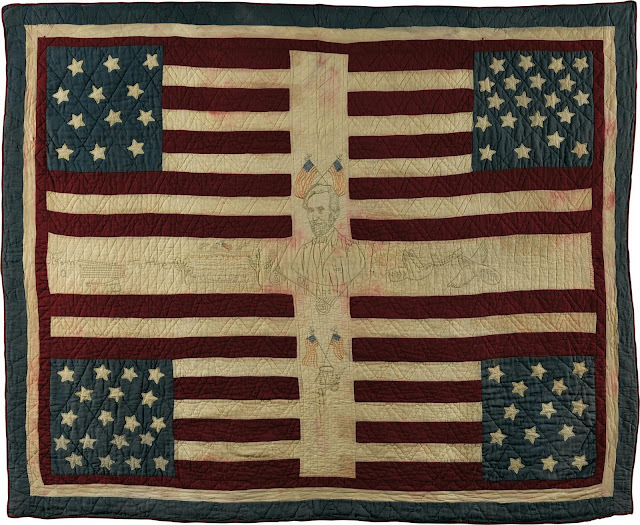 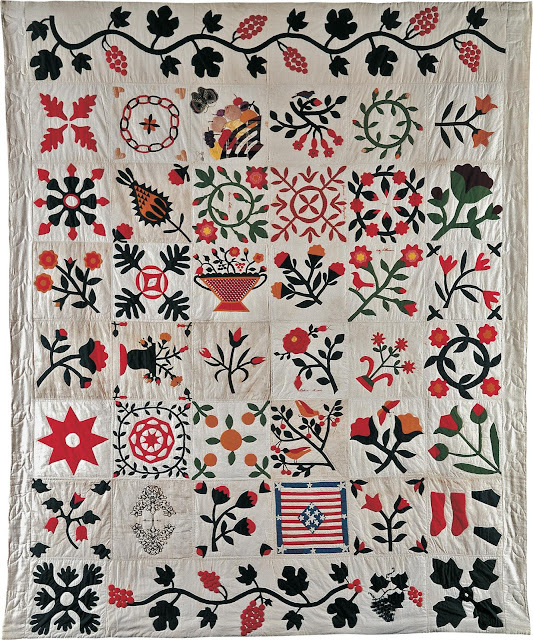 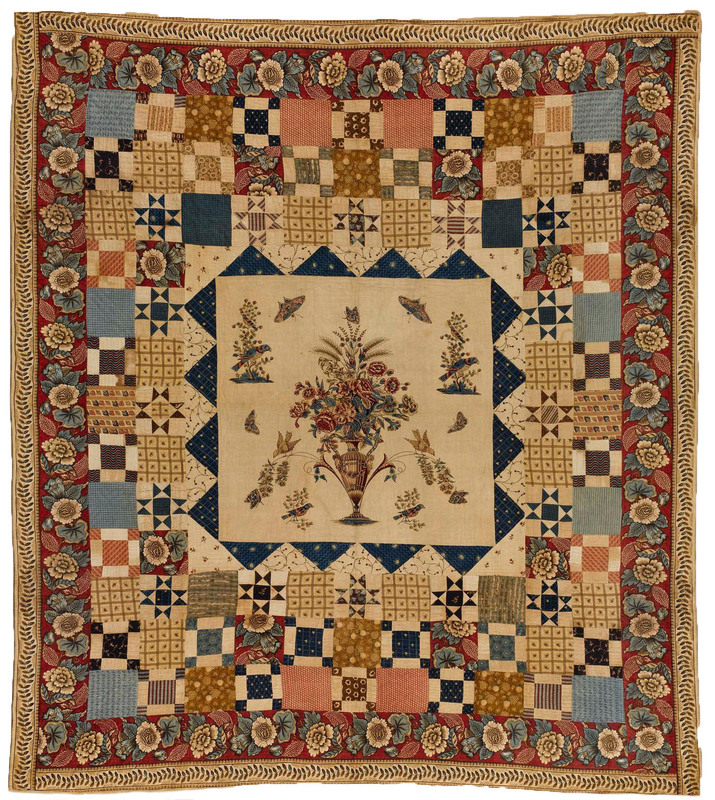 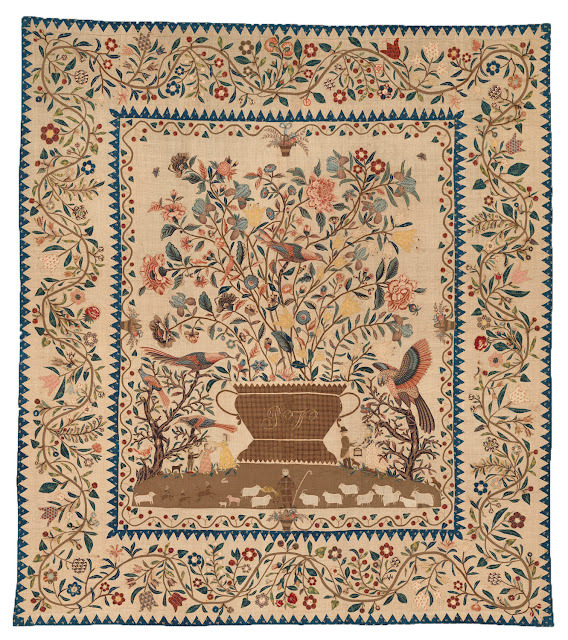 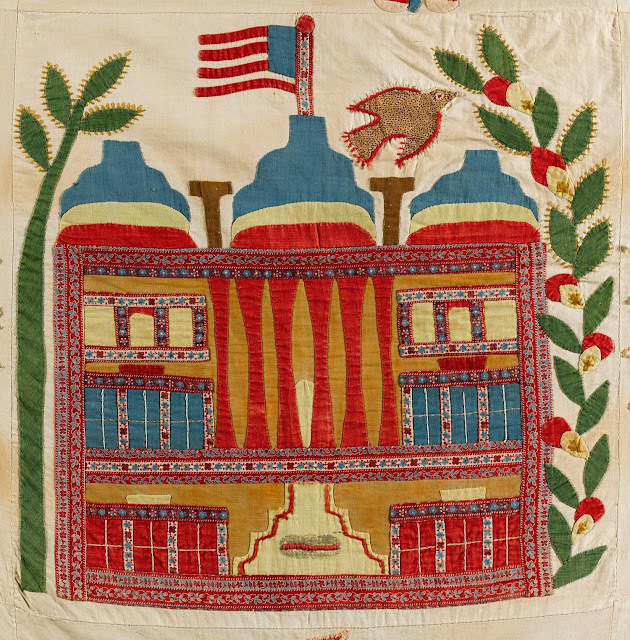 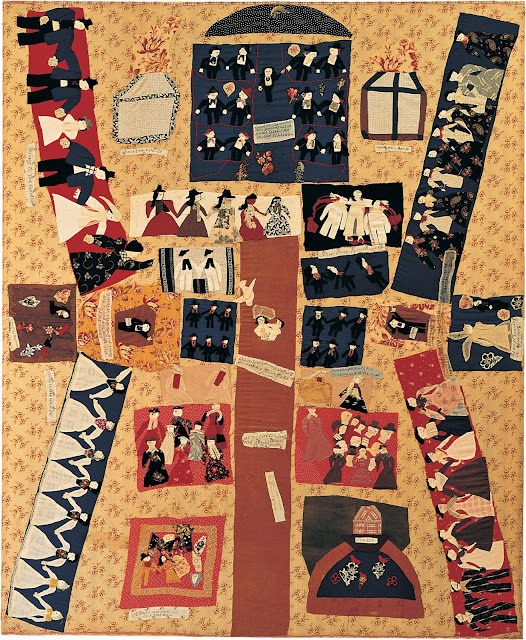 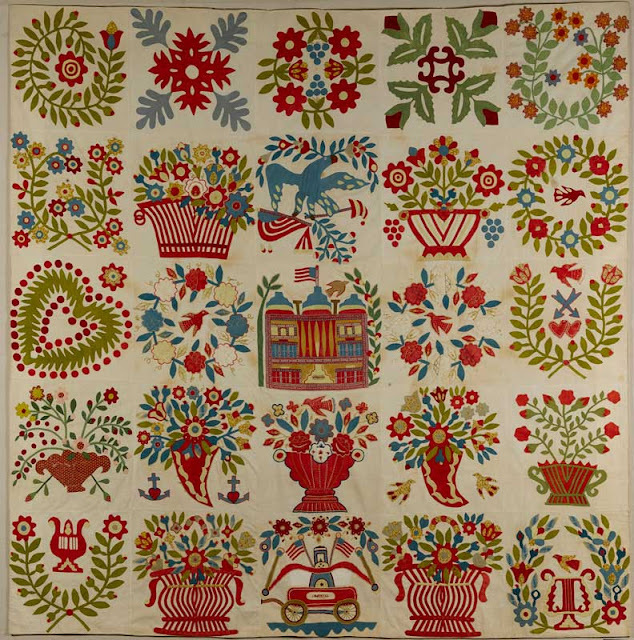 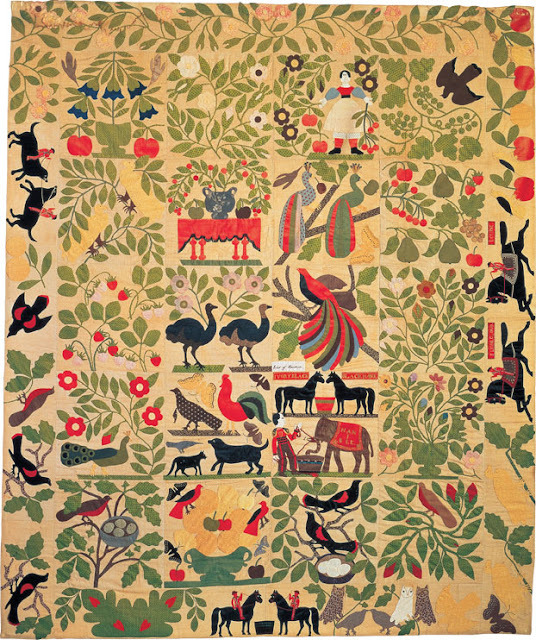 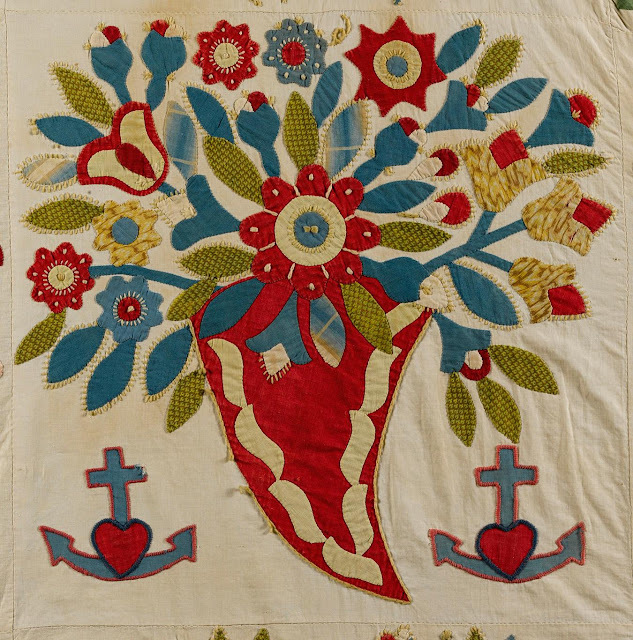 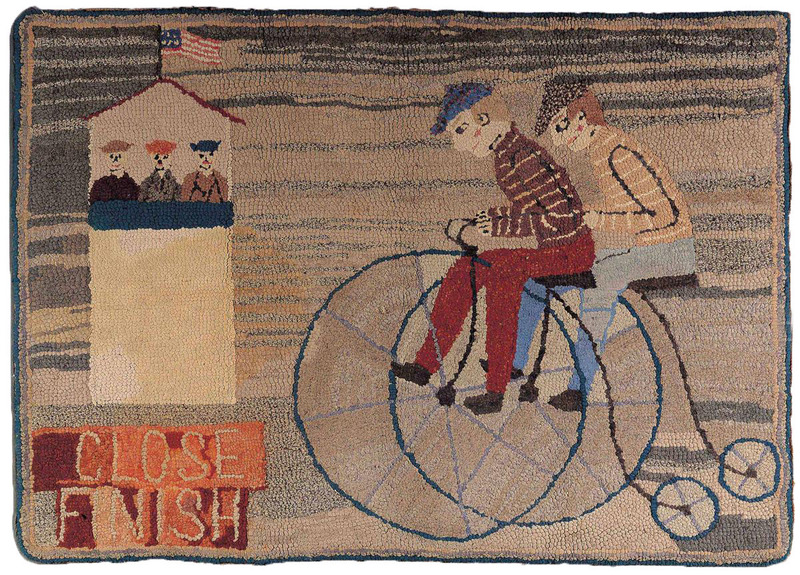 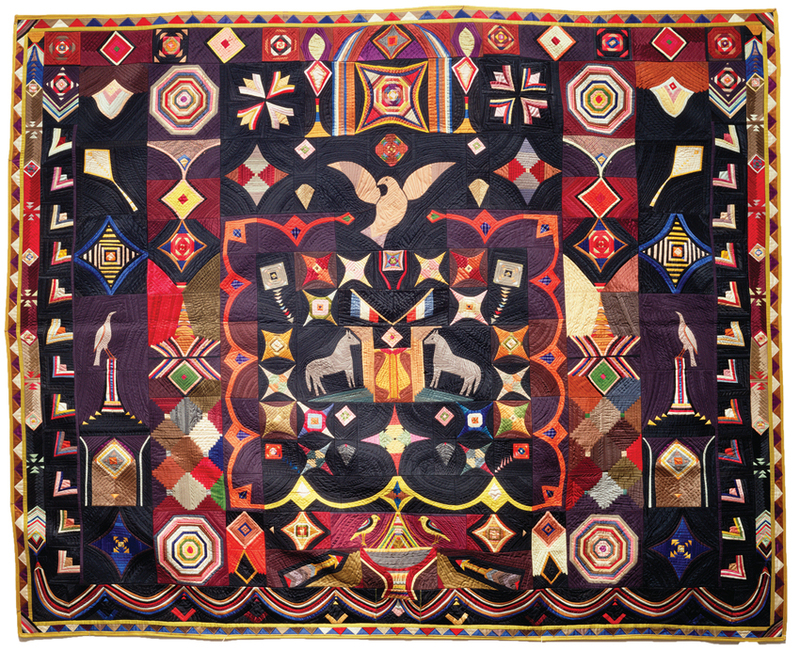 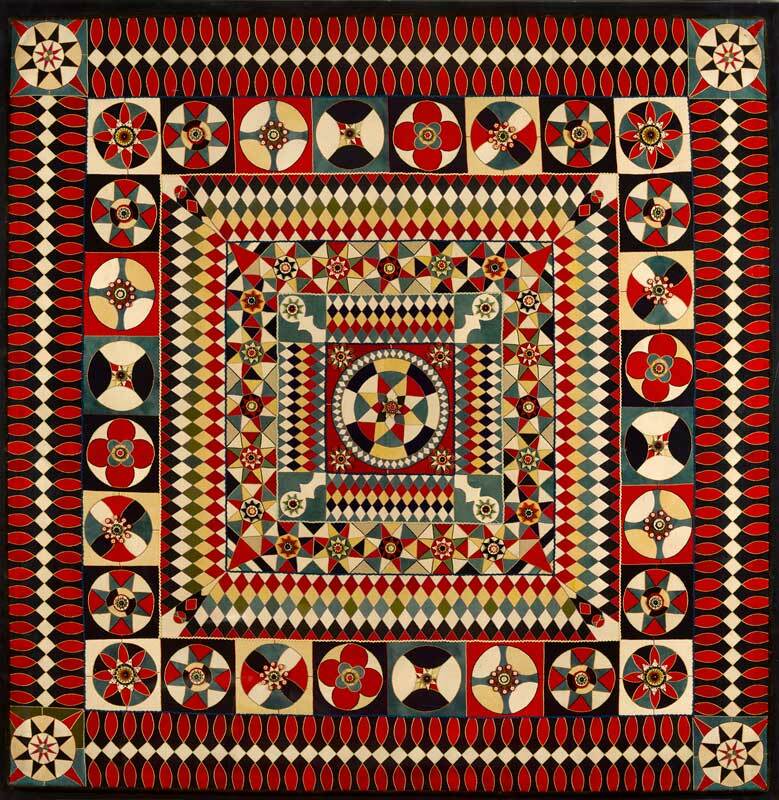 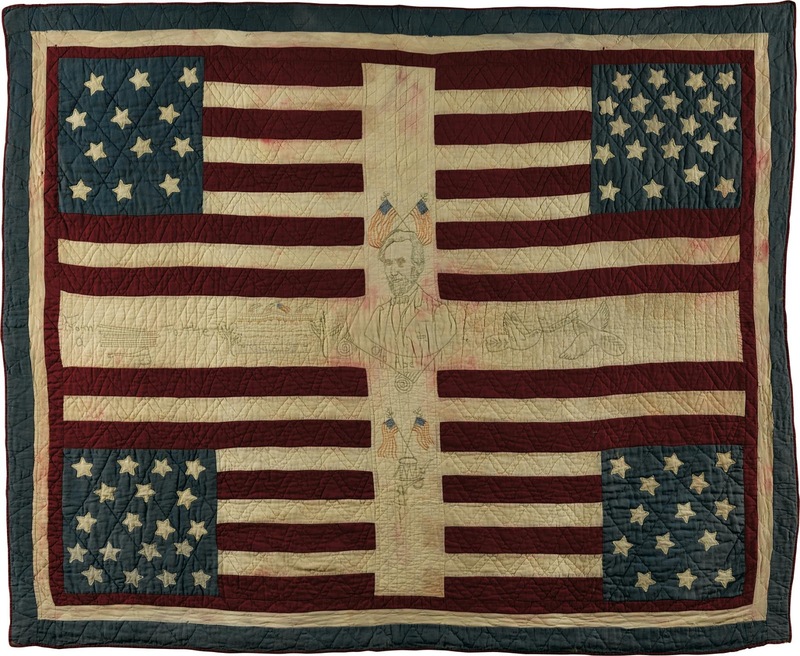 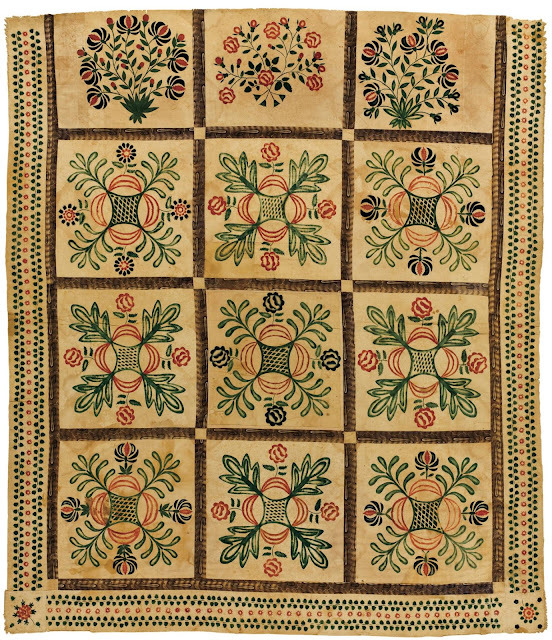 During the C18th and C19th women of all social levels made quilts and coverlets. 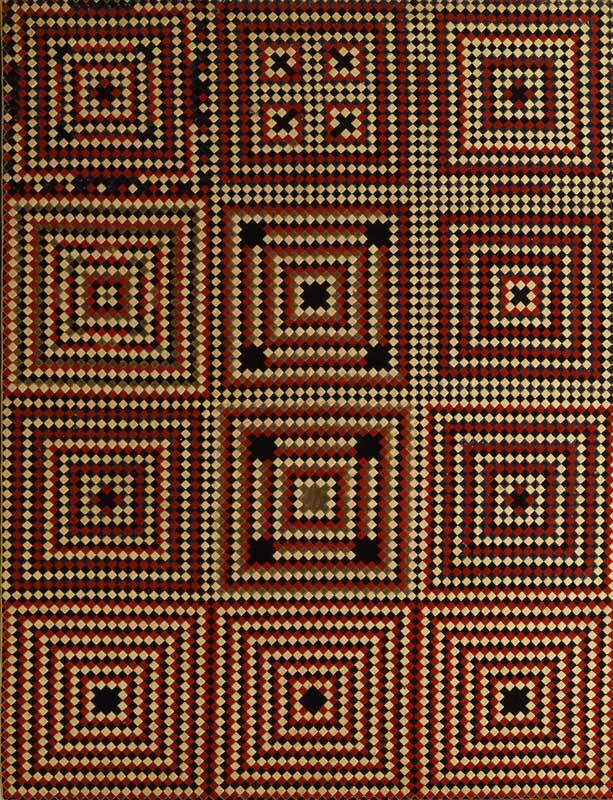 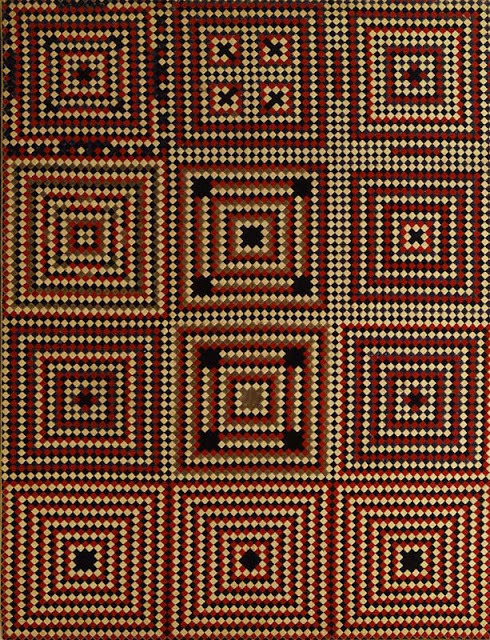 Primarily meant to be utilitarian, they were often designed to please the eye as well, and were sometimes imbued with significance far beyond being simple bed covers. 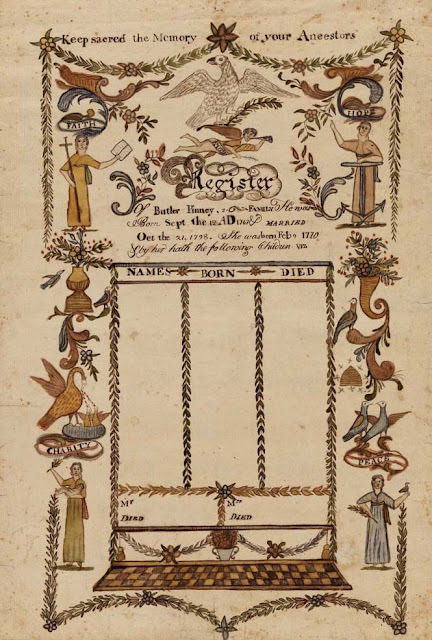 They were often wedding gifts, or made by brides-to-be to take to their future marital home. 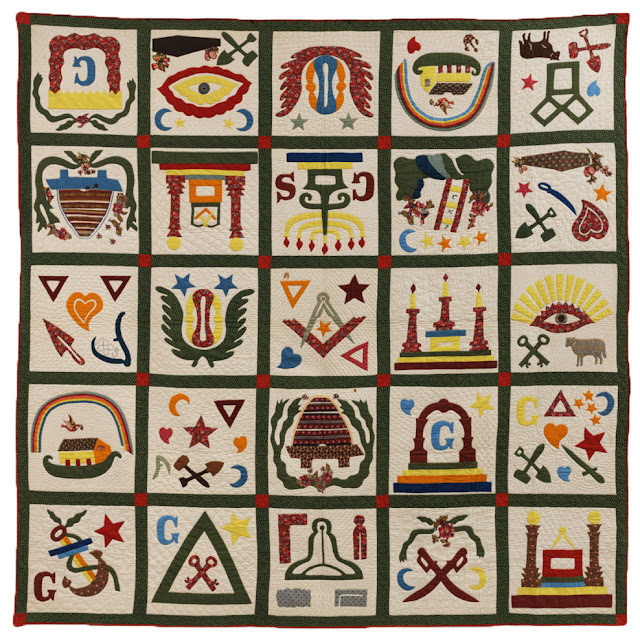 They were also made to celebrate the birth of a child, and even sometimes in remembrance of the dead. 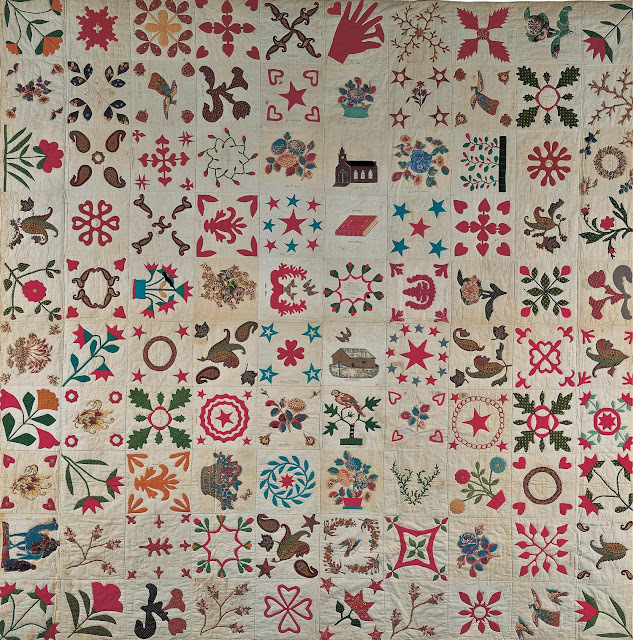 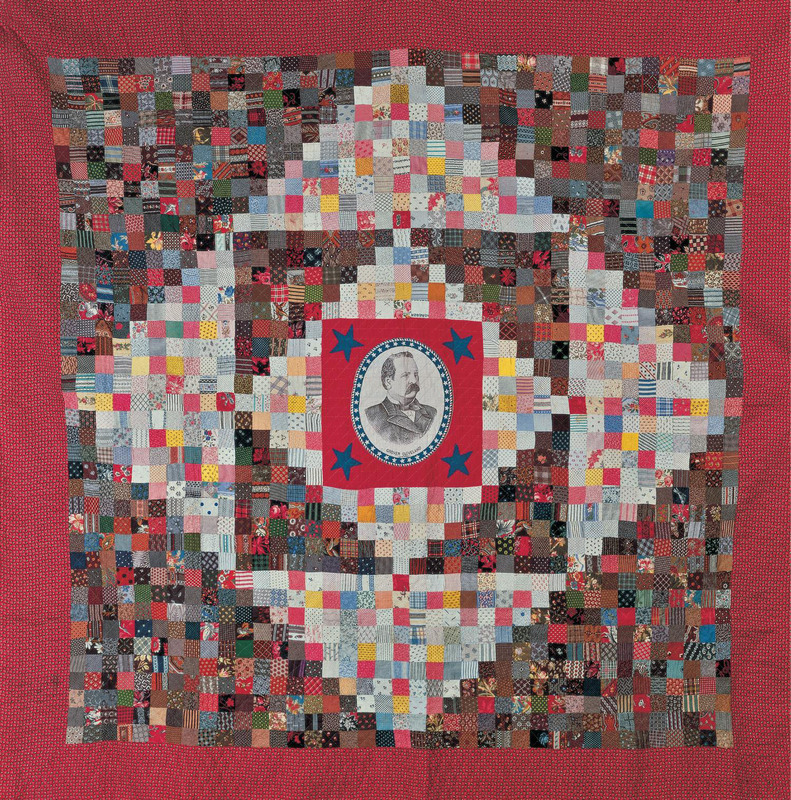 1842 Quilt Top by "MTD"
1850-60 Feathered Stars Quilt by "ECB"
1885-95 Crazy Quilt by "S.H.'" 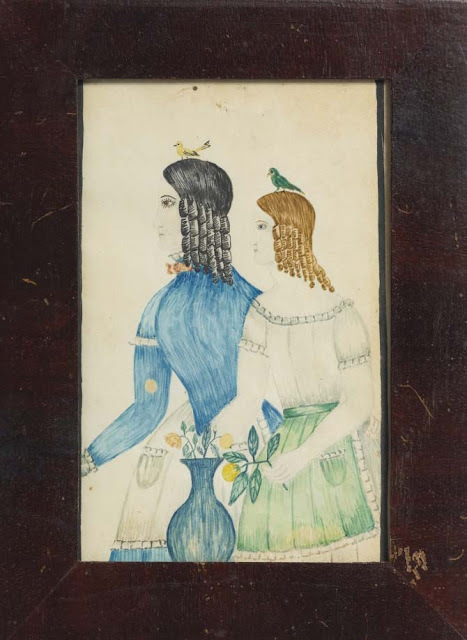 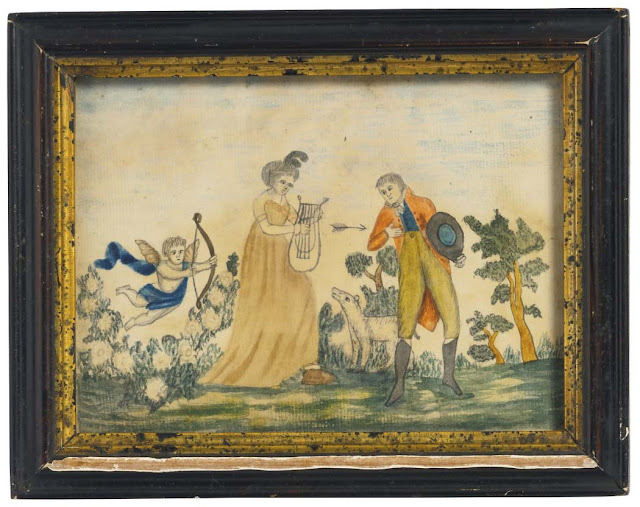 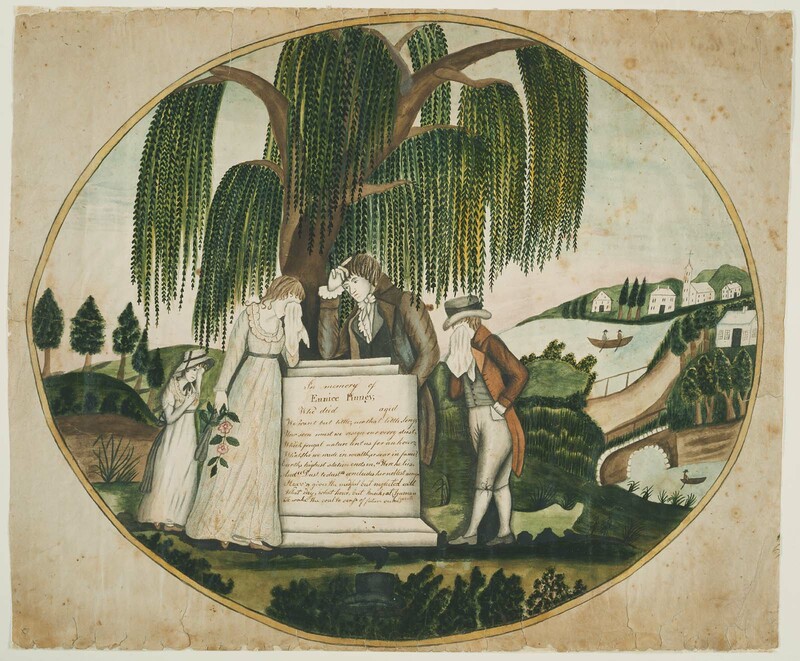 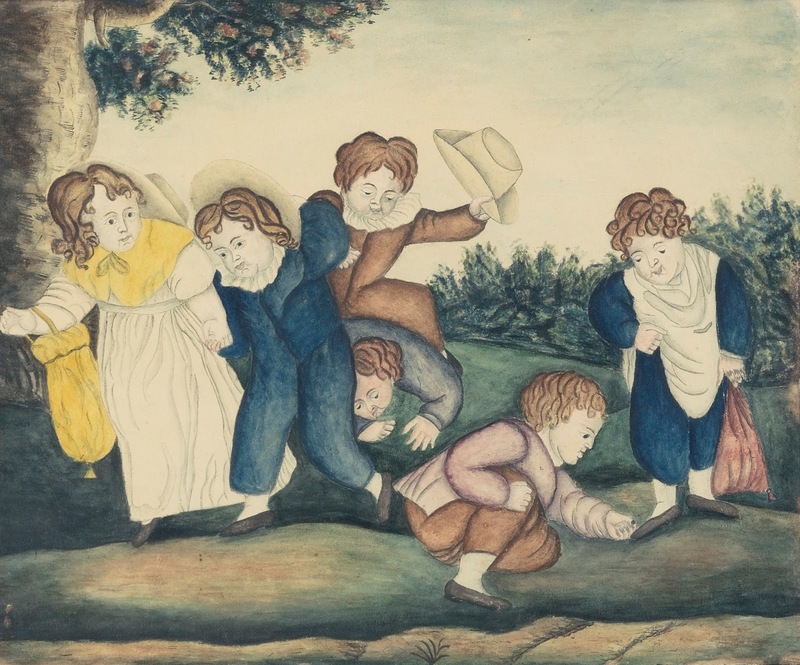 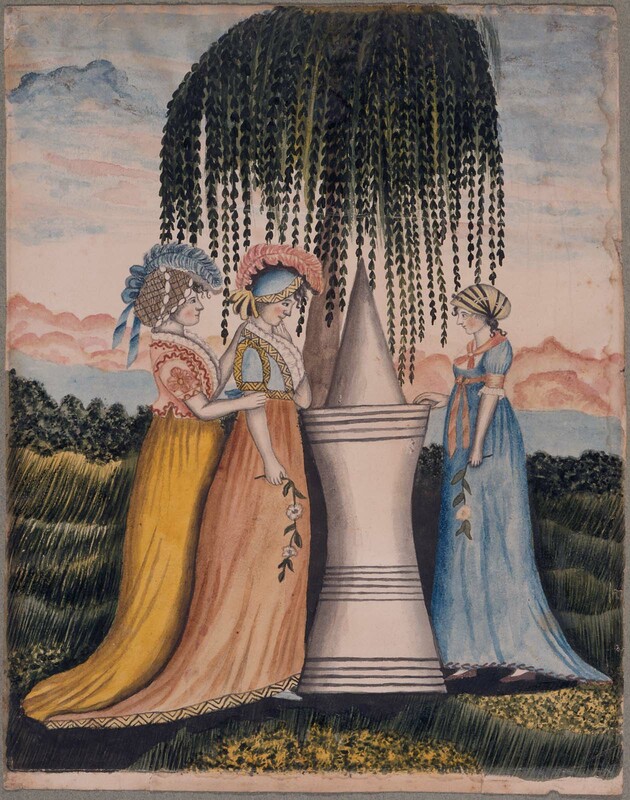 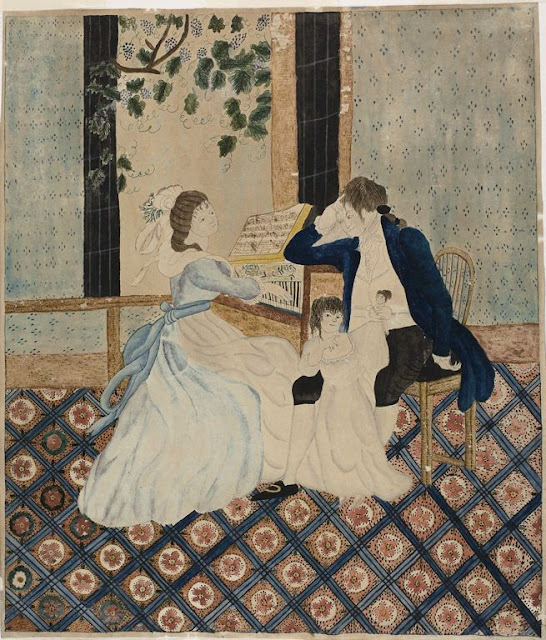 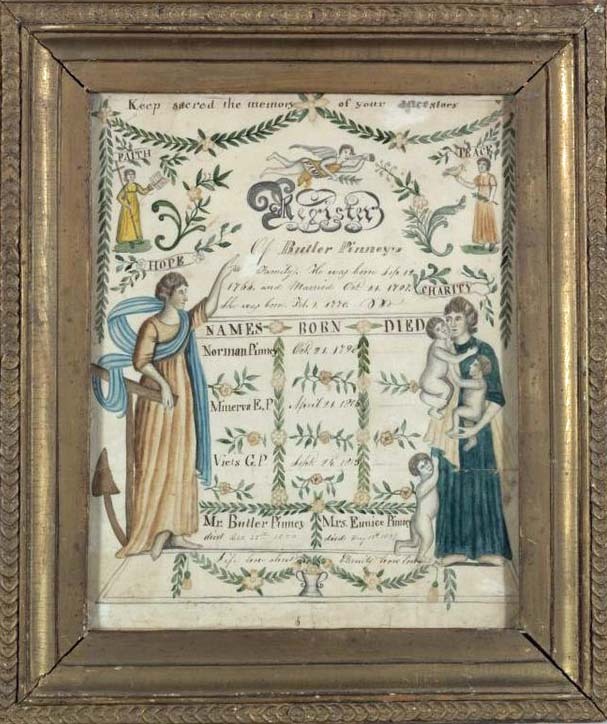 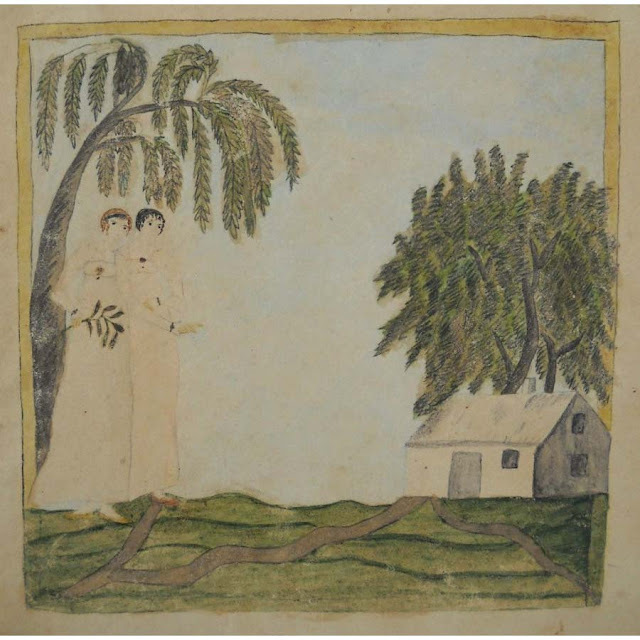 Eunice Pinney is the earliest known American primitive watercolourist. 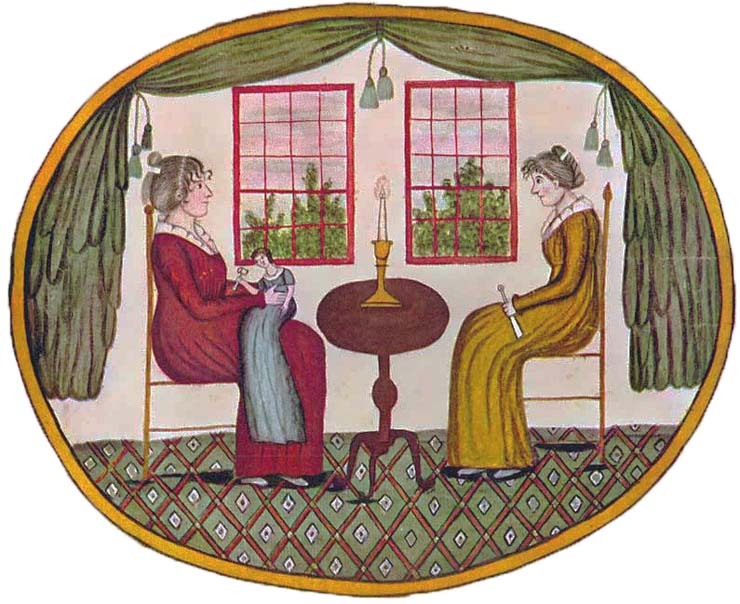 She was born into a large, wealthy family in Simsbury, Connecticut. 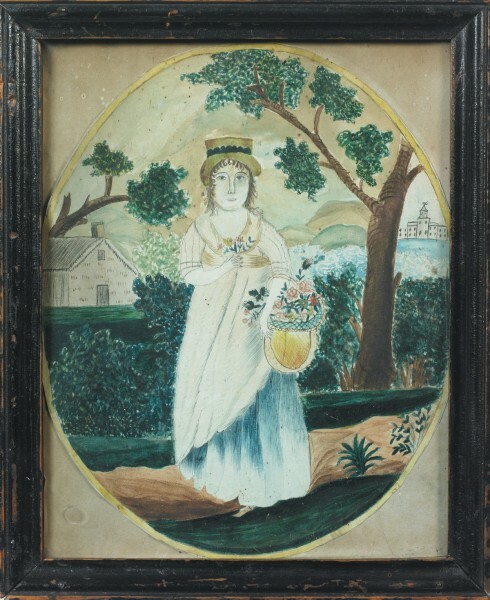 Painting fruit and flower still lifes, landscapes, and scenes from history was a popular pastime among refined ladies in nineteenth-century America. 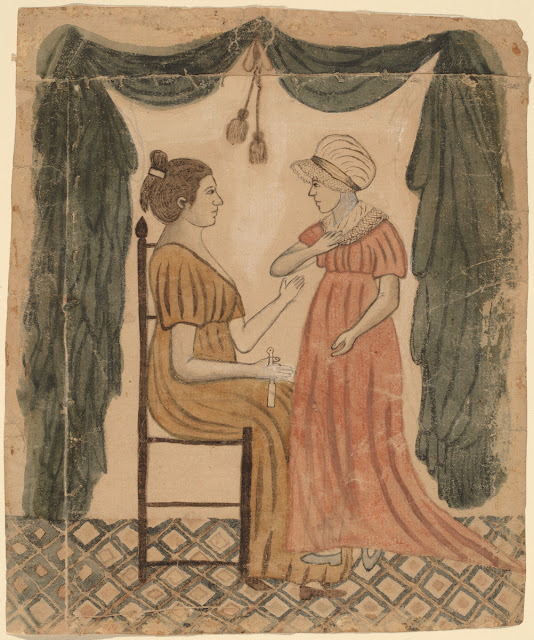 Self-educated before art instruction books became popular, Pinney was free to invent her own style. 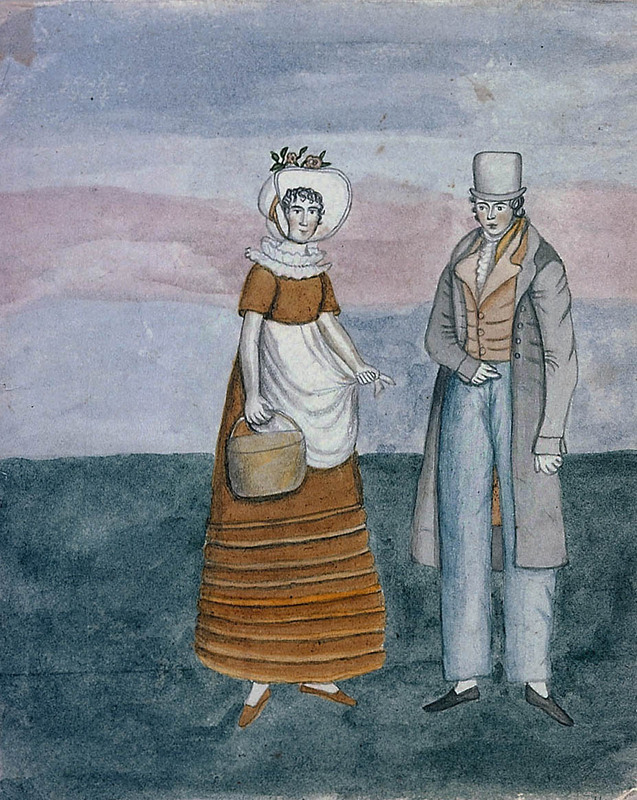 The variety of her subjects is unusual; she painted memorials and literary scenes, portraits and landscapes. 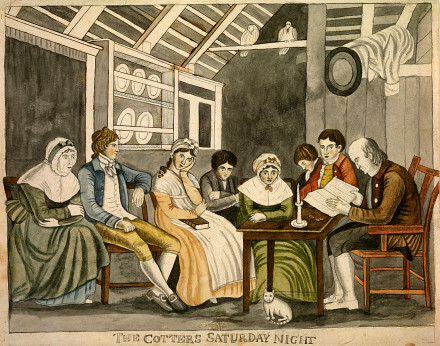 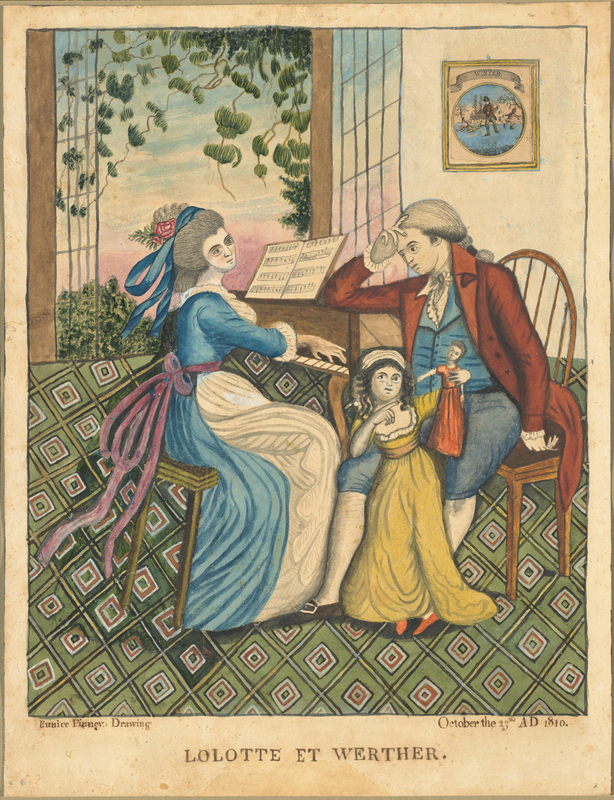 English prints inspired some of her works, such as "The Cotters Saturday Night", which illustrates a poem by eighteenth-century Scottish poet Robert Burns. 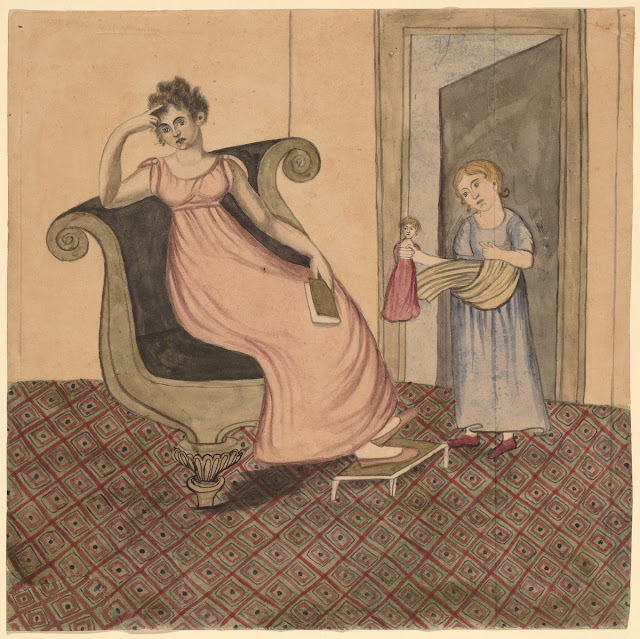 "Lolotte et Werther" illustrates an episode in the life of the hero of Goethe's enormously popular romantic novel "The Sorrows of Young Werther" (1774). 1813 "In Memory of Eunice Pinney"